In this interview we hear about the history, current operations and future aspirations of a leading registry service provider: CentralNic. Learn how the team at CentralNic can help run the domain name system of a new top-level domain, how they can assist in selling third-level domains, and how their distribution network can open up new opportunities for your registry. In addition, CentralNic has raised 5 million pounds as a result of their listing on the London Stock Exchange, which will allow them to partner more closely with some of the hundreds of new top-level domains that are going to launch in the next couple of years. Ben Crawford is the CEO of CentralNic, a company that provides registry services, distribution and strategic consulting for new top-level domains, ccTLDs and SLDs. 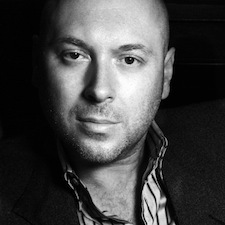 Prior to CentralNic, Crawford was founding president of Louise Blouin Media, managing director of SportBusiness Group and executive producer of the official website of the Sydney Olympic Games. Crawford has an MBA from the Australian Graduate School of Management and a first-class honors degree from the University of Sydney. When the Gold Rush happened in the mid-1800s in California, it is an often-stated saying that few people got rich, except the people who sold the pickaxes and the shovels. The analogy can be made to the domain name industry. Want to find out who is positioned well for the next Gold Rush, and how you might be able to benefit? Stay tuned. In the mid-1800s, tens of thousands of individuals flocked to California to strike it rich in the Gold Rush, but more fortunes were made by the people who sold pickaxes and shovels – the tools needed to find the gold. Similarly, with the 1700 new top-level domains coming online in the next few years, the ones most likely to make fortunes are the utility providers, including registries and backend operators, such as Verisign, Neustar, Afilias, and CentralNic. We are going to learn about the history of one of these registry service providers, about the industry from this perspective, and how you might be able to benefit from it. Today we are joined by Ben Crawford, the CEO of CentralNic – a company that provides registry services, distribution, and strategic consulting for new top-level domains, CCTLDs, and SLDs. Ben Crawford: Hey Mike, happy to be on the show. Michael: Ben, let’s start with where you are today, and then I want to go back and find out a little bit about the history of CentralNic, because it is a really interesting story, and then we will finish up the interview with some questions about where you see the industry heading. I mentioned in the introduction that CentralNic is a provider of registry services. From a domain name systems standpoint, for people that know very little about how the domain name systems work, what does a registry service provider do? Ben: Sure, no problem. So, a registry service provider really plays two roles. On the one hand, we are the distributor and wholesaler of domain names. So, for the retailers, the public facing companies, the everyone is for me with GoDaddy’s network solutions [Double-Check? – 2:25.6] and their equivalents all around the world, registry service providers are the companies that supply the domain names to those companies. So, we are the intermediary between the rights holder that actually has the rights to the domain name and the registrars. And in some instances, obviously, a registry service provider also owns the rights to domain names. So, for instance, Verisign has the right to .COM as well as being the distributor for .COM. And then the second piece that a registry service provider does is it runs the domain name system (DNS), which is essentially the infrastructure that makes the domain names work that, when you click on them, the links actually work and they bring up the right page. And so, we essentially run two systems as a registry service provider: the registry system, which allows the registration, the transfer of domain names, and so on, which includes like the WhoIS system and the zone generation, and that kind of thing, and then, secondly, the DNS system, which is like a global infrastructure running a database, which connects the actual domain names with the IP addresses that they relate to. Michael: Okay, so that makes perfect sense. I think most people can identify with the .COM. They type in a domain name .COM and somehow their browser knows to go to the right website. Verisign is the registry of the .COM, so they are the ones that actually will assign a domain name to a registrant, or a person or an entity that wants to register it, but then they also distribute the domain name to, basically, the GoDaddy’s and network solutions of the world to sell them. And so, what top-level domains does CentralNic operate today? We know that Verisign operates .COM and .NET and .NAME. What ones does CentralNic operate? Ben: Well, at CentralNic, we really have three different types of domain extensions that we run. So, firstly, we run two country codes (CCTLDs), and they are .LA and .PW. And so, we are the registry backend provider or registry service provider for those two. .LA is the country code is for the Lao people’s Democratic Republic, the country in China, and we work very closely with the Department of Posted Telecommunication there, who have responsibility for their country code. But what we do is we are there, oversees; essentially, we are their exporter. And so, what we do is we make .LA available in the United States, where it is used mostly for Los Angeles, but also for Louisiana. At the moment, a real exciting and growing area is Latin America, and a lot of people in Latin America love .LA for Latino, for Latin Americans, and so it works very well and there are some very significant companies that are using .LA for that, like Intel for instance. And also, .LA is very popular in China, where the word ‘La’ is like an exclamation mark, so people like to have that at the end of their domain. And there are other markets around the world, as you can imagine. Many parts of the world that like .LA because it is about the LA lifestyle. So, tanning salons, acting classes, and those kinds of things all over the world use the .LA for those reasons. So, we are also then the distributor for .PW, which is originally the country code for the Republic of Palau, which is a Republic of Pacific. And essentially, we are the distribution partner that makes that domain available through registries all over the world. As many of you probably know, it was re-launched earlier this year. We launched for the first time actually earlier this year, and there are now hundreds of thousands of these domains being used all over the world. So, those are our country codes at the moment, and we are very interested in getting more country codes and working with Governments. We have, I think, a good track record of keeping the Governments happy and understand what their issues and priorities are at the same time as giving the consumers all over the world clever domains that are really suitable for all sorts of purposes. Then, we also have a very large portfolio of second-level domain, domain extensions. And essentially, our company pretty much invented this and it has been the lifeblood of our business for years. So, we distribute domains that end, for instance, .US.COM, .EU.COM, and so on. We actually have 28 of these kinds of extensions. The most recent ones we have launched this year are .AFRICA.COM and .IN.NET for India. So, we have the CCTLDs and the SLDs. And in addition to those, we also have gTLDs, and we have been selected as the registry service provider partner by applicants representing 60 applications for new gTLDs, and some of our partners there are people very well known in the domain industry. Daniel Negari with his .XYZ, .COLLEGE, and .NOW. Ray King, who is doing .WEEKEND, .INK, and has seven additional applications in contention. Jay (Unclear 8:43.5) and a number of other applicants. And then we are also working with some very large companies on the .BRAND gTLDs, where essentially they are going to get a domain and use it to create a universe of websites that they will control for themselves, and some of those include The Guardian – the British newspaper and media company. William Morrison (Unclear 9:09.2) – the biggest talent agency in hollywood that have clients like Lady Gaga and Judd (Unclear 9:14.0), Matt Damon, and so on. And some of the biggest companies in the world, specifically ones in the Middle East, including Saudi Telecom, Q8 Finance House, Qatar Telecom, and (Unclear 9:27.1), and (Unclear 9:29.1) Telco. So, we actually cover the whole range, and I think, really, we are probably the only registry service provider that covers that kinds of breadth. So, at the moment, we have domains using 30 different domain extensions that we are distributing today, and we have another 25 of our gTLDs that are uncontested, and we are expecting to get more through the contention resolution process, and then, on top of that, we also expect to get more as well as gTLD applicants decide that they actually want to switch over and use CentralNic for their distribution. Michael: Yeah, and that is possible. People could have put in their ICANN application, paid their fees, gone through the contention process, or been approved, using one of the other registry service providers. But before they launch, they can actually switch to somebody else, like CentralNic. Ben: They can and they have. Ben: And soon there will be some announcements. Michael: Great. So, you mentioned 30 top-level domains, some of which are country code TLDs, like .LA and .PW. You have got your own second-level domains. You have got your, potentially, new 60 top-level domains. Of the ones that you are current operating today, how many does CentralNic actually own and are the registry of in addition to being the registry service provider? Ben: 23. And for domain investors, this is kind of one of the interesting stories. We own the domains that we are using to sell third-level domains from, so we actually own US.COM. So, we have got a fantastic portfolio of domains. We own 18 two-letter .COM domains, and they are all country codes. So, even .EN.COM, .DE.COM, .CN.COM. for China, .IU.COM for Russia, and .BR.COM for Brazil. So, the founders of our company basically bought most of these domains between ’95 and 2000, when they came up with this business model of selling third-level domains, and they got proof of concept very quickly. So, as early as ’95, it was clear that this was a good business. People wanted these domains, people liked them, and we have got websites that have been around for like 18 years, using our domains. And so, yeah, we turn 23 of them outright. Michael: Yeah, it is a pretty phenomenal inventory, and I would love to learn more about the beginnings of that. I ran those domain names through EstiBot, just to get an order of magnitude of the assets that CentralNic owns in addition to operating, and it came out to over five million dollars. From your standpoint, do you think that is undervaluation of the assets that you own? Ben: Well, we have been offered eight million for .US.COM. Michael: Yeah, so I would say it is an underestimate. Ben: Yeah, and we turned it down obviously. It is clearly worth more than that. So, yeah, absolutely. Michael: How many domains, in total, Ben, are currently registered by registrants across the 23 domains names that CentralNic owns and operates? Ben: Well, I think one of the benefits of being a private company and running your own registry is we do not have to divulge any of that information. So, it is a benefit of being a private company that we keep all that to ourselves, but obviously, some very big companies there. A couple of years ago, we did a competition for the best .UK.COM domain and website builder on .UK.COM domain, and some of the finalists include like Microsoft and Avon, who has an incredible site on Avon.uk.com. It is their main site in the UK. It is advertised on TV every single day in the United Kingdom. They are actually really high for terms like cosmetics and so on. But in the end, the prizes went to a company that just had a very clever application that they had built where you key in a particular phrase or word that really means something to you, and they create an artwork from it and deliver it framed to your house. So, it ended up not going to any big guys, but going to kind of the cleverest application. So, we have a lot of great companies that use our domains. Michael: So, we mentioned selling CCTLDs, which makes senses, and if people want to rebrand those CCTLDs to other locations, I understand that. And the new TLDs want to use a proven registry system, like CentralNic, to operate theirs so that they do not have to worry about the technology. Michael: But the second-level domains on domains that you own or other owns – why do people want to buy third-level domains on that? Why would somebody want to buy Domain.us.com rather than just buying .US or a .COM? Ben: Well, there are a whole bunch of reasons. So, obviously, for some of their domains, like .EU.COM actually was launched, I think, four years before .EU. So, one of them is we have been around for a long time. It is a very long-standing product that has got a proven track record of decades to work very well. So, there are a few things. Obviously availability. If you have a company or a new product or a promotion that has a specific name and you prefer .COM, which obviously is very clear that most do, if that .COM is not available, either because the domain investor has got it and they want to charge you thousands of bucks for it or someone else has already built a website on it, then what do you? And obviously, one of the possibilities is to look for a good substitute, and a large segment of the population feels that a, for instance, .US.COM is a great substitute for that. You still get the .COM ending, which means you will still come up in searches all over the world, unlike you have a country code ending, for instance, and so the availability is a good thing. The fact that .COM is somewhere in the mix is always viewed as very attractive as well. And so, I would say those are some of the main reasons, but when you also look at it, you can see that. We have done the math roughly and we reckon there has got to be over 30 million domains that are third-level domains, particularly when you look at all the country codes that are doing the same thing. And some of the countries have been very inventive and clever and used quite a lot of second-level domain extension in order to create lots of third-level domains. Brazil has been. China clearly has been with their .BJ.CN for Beijing and so on. So, they are already doing like city third-level domains and so on, while the gTLD world has kind of gradually crept into this and done it in quite a small way and so on. There are many countries who have been out there and done lots of very interesting things, and we like to feel like we are part of that SLD world. It is not a world that I would say has traditionally attracted a lot of domain investors, and there is a simple reason for that; and that is, is that domains typically do not get type-in traffic. But that does not mean that they are not a great domain to advertise. They can be very memorable. You can get short names. I mean another reason that people like the SLDs is you can get keywords and you can get keywords at a normal retail price. You do not have to spend thousands of dollars to get them. So, if you have got a website you want to optimize for certain keywords, and you can have those keywords and have exact matches to it. As we know, these are all attractive things. So, there is actually a whole bunch of reasons, and I guess it brings it to that 15% of all websites or all domain names use third-level domains of one kind of another. So, there are very interesting (Unclear 18:15.8) around our area with a lot of creativity, and we like to feel we are part of that movement. Michael: Yeah, great. So, I did some research on CentralNic and I read that your distribution network for domain names goes across 1500 registrars and a 100,000 of their resellers. Are those numbers still correct today? Ben: Yeah. Well, we obviously cannot count the actual resellers, because if we sell our domains through a wholesale registrar, they do not actually tell us who they are distributing it to, but actually our names are available to more resellers than that when you consider that we are fully integrated with and supply domain names to all the big companies that have reseller channels – the eNoms and the Direct (Unclear 19:06.2), and the (Unclear 19:07.6), and so on and so forth. The Internet (Unclear 19:10.5) of the world. But by integrating with 1500 registrars, just to be really specific, it means there are engineers who have spent the time to integrate their website with our database so that when you do a search on their website, it will query our databases and display results on their website as to whether that domain is available or not. So that is like a direct connection. And the reality is there are not many companies that have that many direct connections to that many websites around the world. Obviously Verisign does. No doubt about it, because there are probably hardly any registrars or resellers in the world that do not want .COM to sell it. But for us, it is the result of years and years and years of work, developing those relationships, and we have been able to do it because we had domains, like local domains, for all the key markets all over the world. So, in Japan, .JP.NET, in China, .CN.COM, in India, .IN.NET, and so on. So, it is like country by country, we have created interesting alternative domains for the country code and built out a registrar network in those countries. So, the upshot of that is we have a fantastic global distribution network, which means that our gTLD clients and the repurposed CCTLD – the ones who sell globally – can have immediate, instant access to all of these vendors all over the world that are technically integrated with us. We have great relationships with them. They already have accounts open with us, so they do not have to do any of the work they would have to do for someone that is just starting out, trying to build out their own network. We are really just pushing more and more inventory out through an existing family of registrars that we have worked with for years. Michael: So let me ask you about that, Ben. I had Ope Odusan from Africa.com a few weeks ago, talking about how they are selling third-level domains, like Safaria.africa.com using CentralNic and reaching all of those resellers and registrars. And you mentioned Daniel Negari, who has been on here in the past, talking about .XYZ and .COLLEGE, which are approved to go through. Michael: When any of those registries begin to use CentralNic, does all of the available domain names immediately become available on all of those registrars, like GoDaddy and Register.com, or do the registrars have to sort of approve them before they start selling them? Ben: No. Well, I would say they are latently available in the backend. So, the thing is they do not have to do any additional engineering work. They do not have to open up or fund any new accounts, and not only that. Obviously we know the people there. We know how they work, how they like to be delivered information, and what kind of lead times they need – all of these things that make things run smoothly. But no, obviously, for each new domain extension that launches, there is still a piece of work that registrars need to do. A couple. One is usually to adjust the frontend of their website. So, even if it is sitting there in the backend and you can technically register it, you need to make it visible. And then, secondly, obviously marketing is an important part of this, so it is important that the registrars then let their customers now. And there is two groups of customers: there is the ones that happen to be visiting their website during the period when they are promoting a new domain, and obviously there are the majority of them who are not, so then we encourage the registrars to do outreach and let all of their customers that this new domain is now available on their website. So, I would say you have many, many advantages in using us, but no, obviously, registrars are (Unclear 23:30.1) run their own business. They have their own priorities. We are obviously very sensitive. We are not trying to persuade the guy in Argentina to sell the Japanese domain or vice versa. And .AFRICA.COM is fantastic idea. We are going to see more and more registrars, obviously particularly in Africa. Whether a registrar in Romania is going to sell it, I would say probably not, just because there is no demand for that domain name. Michael: Yeah. All right, let’s go back in time, Ben, and talk about the historical roots of CentralNic. When was CentralNic founded and by whom? Ben: Very good. So, this is second hand. I was not around at that time, but the company had originally been founded back in 1994. And it was a different company. Let’s say the business was founded then, and it was really just founded on the inside of some British property developers who discovered the Internet, Robert being one of them, who is still with the company today, and discovered the Internet when he took his kids to LA to Disney Land, and they were talking about it on TV. And he got interested in it, and he saw straightaway, I guess the way many domain investors have, that it is a new type of property. And many of the principles that apply to investing in bricks and mortar property could well apply on the Internet. But I guess one of his, and the guys that he was working with, really unique and really clever insights was: “Well, how about subdivision?” Like if I bought the domain name UK.COM, for instance, or GB.COM or US.COM, could I subdivide that and sell many, many, many third-level domains, and of course lease them out in the same way as you might property? And among those initial founders, one of them actually met John (Unclear 25:46.0) who, at the time, was pre-ICANN with the US Department of Commerce, looking after the domain name system and particularly the country code system, and discussed this with him and came away very encouraged that one technically there is actually no difference between a, say, .CO.UK or .UK.COM. As far as the DNS is concerned, all words are exactly the same. And secondly, encouragement that (Unclear 26:19.6) Private Enterprise should get involved with this. It is all about increasing consumer choice and adding competition, and certainly, at that point, bringing prices down as well. So, they basically built a registry system, or at that time, it was a combined registry and registrar system, and started selling third-level domains, and found very quickly that they were readily accepted. And so, then they had proof of concept, so then, between ’95 and 2000, they were like: “Great, well, let’s go and get as many of these, like two-level country code .COM domains, two-letter country code .COM domains as we possibly can,” and had this kind of global treasure hunt of tracking down the domain investors who picked up the two-letter, because obviously none of them were still with the registry, and finding them and cutting deals with them, and so on to bring them all into the company that then was renamed CentralNic in 2000, as the concept was that it was the Network Information Center (NIC) that was central to the whole world. And so, from there, really, the story of the company was about adding more and more registrars and obviously, with the beginning of the new century, the current model of having vertical disintegration between the registry and the registrar started, and CentralNic went down that path, and then actively started going around the world, signing up registrars that had some very important historical moments when we signed up some registrars, like eNom and Word Solutions. And actually, only this year, GoDaddy, which has been a very, very exciting event for us, because they are fantastic company to work with. And so, as the portfolio of domains develop, so do the portfolio of registrars that we work with. And then, I guess it was about five years ago that the idea of maybe also distributing for third parties came about, and we started distributing .LA and then again, this year, .PW. A few of the SLDs that we distribute are owned by third parties as well. And I guess then I joined the company four years ago, nearly with the focus of: “Well, how do we now become a player in the gTLD space,” because clearly, when you look at Verisign, it is market capitalization and Warren Buffet is there, investing it. So, you can see: “Well, yeah, there is potential to grow in our business. There is potential to grow significantly. So, how do we set down that path,” and so we went out and won a whole bunch of gTLD contracts. And then, as you may know, we were actually listed on the London Stock Exchange back at the beginning of September as well, so now we have some very significant investment funds as some of our shareholders, and we are obviously working with them to develop and grow the company and really take this to the next level. Michael: So you did become listed just a couple of months ago on the London Stock Exchange, and you have transitioned from private company to public company. Michael: And in offering those shares to individuals that wanted to invest, you were able to raise money. Is that correct? Ben: And obviously we have years of experience, and we have launched eight domain extensions in the last three years. Nobody else has launched eight, so we have done eight sunrises and eight land rush and won over the last three years, and so we actually have an awful lot of data, which nobody else has. We have an awful lot of experience about what works, what does not work, how to explain things clearly, how much lead time people need in order to do things, and so on. So, I think, in addition to money and technology and compliant services, we can also help with a lot of advice and experience. We are always happy to share it because our approach with our gTLD clients is we want them to succeed and we will help them in any way we can to do it. So, we will pitch them to the registrars, and we will help them with their sales collateral material and the marketing material, and so on. We will help them with financing, because, for us, every single one matters a lot that they succeed. We are not in the position where we already have the biggest domain in the world, and it is no criticism to Verisign at all. It is just that we, I guess, view our clients as partners, and we want to be a good partner. Michael: So, potentially, 60 new top-level domains coming online in the next couple of years; maybe even more with registries that are switching to CentralNic as their backend and distribution system. How many employees do you have today and how many will you need to hire in order to fulfill all of these new partners, or customers/registries, that are coming onboard? Ben: Well, I like to think of our site like the Craigslist of registry service providers, like we are very, very focused on automation, and I believe we do an excellent job. So, for us, the less employees we have, the better job we are doing. That is it. We have got a great team of employees, including some who have been with us for over ten years. And I think that (Unclear 33:17.1) this is we have studied this question a lot, because obviously a lot of people have invested money in our company, and we do not think we are going to have to hire a huge amount more people. We have hired six in the last two months, since we have listed, and we do not see ourselves having to hire a huge amount more because, as I mentioned, we already launched eight domains in the last three years. It is largely a technical and automated process that we have got down pretty pat. Hopefully, we will have to have a couple more customer service people and so on, just because of the sheer volume and work that we are doing. And then, really, it is not so much about hiring additional people to do the same old job that we are doing now. We think we can do that pretty well with the team we have got and just a couple more people. It is more about us thinking about what else could we be doing. And so, we have some ambitions that we cannot really talk about yet, about launching some new business or some new services as part of our businesses, and those are the things which are going to take some additional staff, and we may even look at acquiring some businesses as well. Michael: Oh, interesting. All right, I wish I could ask you more about that. So, do you see CentralNic requiring any infrastructure enhancements? Are you going to need to have a whole new data center to be able to support? I have no idea how the infrastructure works. It just sounds like this enormous behemoth that you need to route all of these requests and bits flying throughout CentralNic’s systems. Will the technology need to improve and expand? Ben: No. No, and the reason is this. When we decided to go for gTLDs, we realized that some companies had an advantage for us in that they were already doing it. So, it was like: “Well, how can we demonstrate to people that we are at the same level as they are,” and so we realized we have to bite the bullet and advanace now. We have built an ICANN gTLD-specification registry system now. Wherever we are falling short today, and I am not saying we were falling short from the standards of that day, our system, like most CCTLD registries and some other, could not possibly run a gTLD. Not because it would not work, but because they are not up to the ICANN standards. And so, we upgraded all of our systems. We have also got ISO27001 accredited, which is a data security global standard, and also 9001 accredited, which is global quality standard. We also became the first carbon mutual registry, so we kind of went all out with investment to say: “Let’s make our systems already at the standard they need to be so we could launch immediately and we could launch hundreds of gTLDs off the back of our system without having to buy another computer.” And so, we are there, and obviously that was a question that many investors asked of us when we were listing too. It was like: “Don’t you have a whole bunch of massive spending ahead of you,” and I am happy to say that it is behind us. Michael: Excellent. So we talked about Africa.com selling third-level domains using CentralNic. We talked about the TLDs that you own that you sell on, such as .UK.COM and .US.COM, which are phenomenal domain names. With the new gTLDs coming out, what is your project on second-level domains, like DomainSherpa.com, coming to you over the next few years and launching to sell third-level domains? Do you see it sort of staying consistent with the quantity per year that have happened in the past few years, or do you see it declining with the new gTLDs, or increasing as more people learn that they can actually launch a registry of third-level domains using CentralNic? Ben: Well, I would say I would not want to make people underestimate the difficulty of what it is that we do. I do not think there are any other companies in the world that actually have done we have. Certainly there are country codes that have been very creative and done lots of things on second levels and so on, but to do third levels on a full word .COM, I think .AFRICA.COM is the first one, and it is a great one. It is such a good one. It is the name of the continent, so that is almost unique in terms of how great that is as a domain for doing third levels. So, my view is third level is really an area of invention and experimentation and innovation, and we are definitely going to be there, and I think we will see all sorts of interesting things emerge. I guess our perspective is people just have to have the right expectations of what they want to achieve. I can tell you, in our business, there is no such thing as like passive revenue. It is not just like: “Hey, I am going to kick off a registry company, and then go and sit on the beach.” Like we work really hard, really long hours all the time, because it is a complicated business, and so I think the thing is this. That you can have a quite small zone, a quite relatively small number of domains bid on a gTLD or a CCTLD or an SLD, and still have a successful business. It is a smaller business. It is like a single malt whiskey supplier rather than Coca Cola. You can still succeed, but you do not say, “Oh, I failed because I have not sold as many bottles as Coca Cola.” It is just: “I have set out to do this.” So, I think that tends to be our approach that would encourage people to come to us, and people come to us all the time with ideas, and hopefully we try to be quite realistic with them and with feedback that: “Well, this is the scale we think you could get to, or this is the amount of investment that you would need,” and so on. And then, some people make the call as: “Yeah, this is definitely for us. We are in it for the long haul. We are happy to invest. We are comfortable that scale,” and other people, it is just not right for them. It is the same thing as gTLDs. I mean the successful ones will not necessarily be the ones that sell the most, but it will be the ones that have got the right financing, the right amount of working capital, the right expectations, and they are the people that will be around for the long haul. Michael: Yeah, great point. And the fact that you do own and operate 23 of these phenomenal domain names, selling third-level domains, you have got all the data to show how many domain names are sold with what kind of marketing and the quality of the domains, so then you can compare it to others. Ben, there has been at least one very vocal critic online that claims that operating and selling third-level domains on domain names like UK.COM and US.COM are confusing to consumers. And that, in doing so, it is like a false designation of origin, false descriptions. What is CentralNic’s view on selling third-level domains on a UK.COM or a US.COM? Ben: Well, it is not just our view. The fact is that they are great domains. There is a market for them. Large companies use them. There is no kind of confusion at all, any more than like if you look at China’s Government, you can buy a .CN, you can buy a .COM.CN, a .BJ.CN, a .SH.CN, and so on. They are not confusing. There are citizens into buying multiple domains and thinking they have got one thing and got the other, and so on. Not at all. It is just very clear that it is like telephone numbers. There is multiple different possibilities, different endings just as there are different beginnings. Like in New York, you can use 212 or 917 or 646 or 347, and so on. And so, from our perspective, I think, to be very clear, we are selling the domains that people want to buy. Not everyone wants to buy them, but not everyone wants to buy a .BIZ or .INFO and so on. They are just one of the domains in the store. They have their advantages that are very clear. And obviously, as we have mentioned, we have been going for almost 20 years, so in other words, pretty much longer than a lot of gTLDs and so on have been going, and some CCTLDs. Our domains are more popular than most CCTLDs actually, and so I do not know; I think the word confused is generally more about people who have been so focused on .COM and a couple of other gTLDs that they have kind of been unaware that there is tens of millions of other domains that follow different rules and have different kinds of ending, and so on. And I think people should be (Unclear 43:27.0) more opened minded and have a look at the interesting things that people are doing in that space. Michael: Yeah, definitely. So, the five million pounds that you have raised as a result of being listed on the London Stock Exchange, you are going to use that for potentially making investments in some of the new gTLDs and bringing them onboard. It provides a lot of opportunities for CentralNic. Has CentralNic taken any equity positions in new top-level domains yet, or are you still in negotiations? Ben: We are still in negotiations, and we are still open to approaches, because also, we are working with some of the biggest investment firms in the world now, so we are not limited to that amount of money. That is just the beginning. Ben: So we are very interested in talking to anyone that is interested in investment and improving their chances of winning the gTLD, but seeing it all the way through to being a very successful business. Michael: Excellent. At the end of the show, I will ask you for contact information for those who might be operating a gTLD or thinking about launching third-level domains on top of their second-level domains, and we will figure out how to connect you. If I were applying for a new top-level domain today, I would want to focus on my business and contract out the service with somebody that understands how backend IT infrastructure works to ensure that it is up and running. But there are companies like Google, who applied for 101 top-level domains, and Uniregistry, Frank Schilling’s new registry, that are building out their own infrastructure. Essentially, what took your team years to build this infrastructure and make sure that it is working and it is scalable, and has all these connections. They are going to try and build it out themselves. How can companies have their infrastructure up and running and tested in time to actually launch those new top-level domains? Does that seem like it is reasonable to you, given your knowledge of how the system works? Ben: Well, I would say Google and Frank, both, are rather well resourced, so if anyone is going to do well in this, I would think that both of them will, and obviously both of them know an awful lot about domain names and the Internet, and so on as well. So, I would think among the startups, they would be very well positioned, but it is a massive amount of work. It is global, so you are talking about going to a hundred countries around the world, persuading local retailers to take what you are selling and to pitch then to their customers. That is a really serious amount of work. But why they are doing it, I think, is they see what we have, like we have a distribution platform, and it is very, very valuable, and I think they want that. And who can blame them? I mean if I were in their place, I would want that too. Michael: Yeah. How do the registry service providers work in terms of making sure that the infrastructure operations are working? For example, does any Government oversee CentralNic or Verisign to say that your uptime is appropriate for Internet operations? Ben: Well, for gTLDs, ICANN does. Ben: So, you have got a service level agreement with ICANN, and one of those requirements is a hundred percent availability with the DNS, which basically means that companies in our business that provide the DNS have to have essentially global infrastructure, which is redundant, again and again and again and again to protect you against service attacks, against natural disasters, and so on. So, essentially, if you have data centers all over the world wiped out, you still have enough additional ones that service is not diminished in any way. So, the standards are very high. CCTLDs are not necessarily governed by that, nor SLDs. Michael: Okay. So, I am sure a lot of people are listening to this interview, Ben, and they are thinking: “Well, I have got a phenomenal domain name that I have always thought about selling third-level domains on.” Can you talk about how the pricing is structured at CentralNic? If I own a domain name that I would like to offer to sell third-level domains and I would like to potentially use CentralNic as my registry service provider, how does that shape up and what kind of structure and magnitude of costs are associated with it? Ben: Well, I would say there is not an off-the-shelf offering really from us. It is a matter of having a good look at it, coming up with what we think. Is it together? Is it business strategy that is going to work? And pricing is part of that. Like there is no point in me saying, well, I am going to charge people ten dollars per domain if they want to retail it at five. And the thing is they may have to retail it at five if they want to get any kind of market share in a market like China or even Germany, and so on, where the pricing is rather low. So, what I would suggest is give us a call, talk to us about what your ideas are, and so on. I think people often do not realize how price-sensitive the market is. I think some gTLD operators are probably suffering from that a little bit too. That, I guess, could work. We are out there every day, seeing what sells, and we have the great ability to experiment, to do different cross-promotions, do things in different countries, and get a real feel for what works and what does not work around the world. And so, we are happy to put that learning towards ensuring the success of some people, but I will tell you a bunch of people will approach us with that and I will advise them not to do it based on our experienced, because once you start, you can never go back. So, you sell somebody a third-level domain off your domain; you have to support that for as long as their website wants to continue. So, it is a serious decision and we always make that contractually very, very clear to people that there is never any going back if they decide to go down this path. Michael: Yeah, very interesting. So, if I owned a domain name and I said I am going to commit to it forever, or as long as there are people renewing their third-level domain on the domain name that I own, is there a structure by which I would not have to pay any money upfront to CentralNic and we could actually become partners from a revenue-generating side? Michael: So you are open to a partnership. You are open to maybe a lower percentage going to CentralNic and me paying money upfront to use your services. Anything is flexible and it all depends on the situation. Ben: Exactly. We are flexible. We very much like to find partners that we want to work with as partners and have a stake in their success. We do not view ourselves, honestly, as like a backend provider or like a technical supplier. We like to play a greater role and help ensure that the business that we are involved with ends up as a good business with everybody happy. Michael: Makes sense. So here is the final question for you, Ben. As I mentioned at the top of this show, research has showed that the merchants in the California Gold Rush of mid-1800s made far more money than the miners during the Gold Rush. On average, half of the gold-seekers made a modest profit, but most made little money or lost money. As you compare this history of the Gold Rush to the new gTLD launch, do you think history is going to repeat itself or do you think that we are going to take a whole new track? Ben: Yeah, no, well, I think that history has repeated itself many times since the Gold Rush. No, I honestly believe we are extremely well positioned. I think the word that we use now is platform, so we own the platform, and owning the platform is a very good place to be and we are already a profitable company. So, for every domain that sells, we make a profit already. Other companies that have break-even far ahead of them are obviously in a different position from us. I would say, however, again, we do not view ourselves as just selling an instrument or a service to enable someone else to risk their money and see if they can win or not. We want to be much more helpful than that and give them the best advice, the right deal, and the assistance that they need to succeed. Again, I can tell you it is not just third-level domains. There are gTLD applicants who have approached us that we have said, “Well, actually, we do not think you are right for us,” because we want to work with people that will succeed. And then, when we decide to go down that route, we are going to help them. Michael: Great. If someone wants to get in touch with you, Ben, to discuss top-level domains and investment in their TLD, financing or operations of the registry, what is the best way to reach you or the person who is responsible in your organization? Ben: I am happy for people to reach out to me directly, and I have got a very difficult, complicated email address. It is Ben@US.com. Michael: All right. Ben@US.com. All right, if you have additional questions, please post them in the comments section below the video and I will ask Ben to come back and answer as many as he can. Ben Crawford, CEO of CentralNic. Thanks for coming on the Domain Sherpa Show, sharing your knowledge of top-level domains and the operations of registries, and thanks for being a Domain Sherpa. Very interesting interview. Several years ago, I approached CentralNIC with the idea of marketing my 200+ .LA city domains for the purpose of creating third level domains, i.e., domain.longbeach.la. I also asked if they would be interested in exploring this idea with my Latin American city domains on .LA, i.e., domain.mexicocity.la. In the end, the company politely declined. So, to Ben’s point, they are willing to entertain ideas and they do respond with their decision on a timely basis. I’ve been involved with .LA for just over 10 years. I constantly check various domains in English, Spanish, and Portuguese for the America Latina (Latin America) market. I’ve come across several .LA domains that were registered by individuals from countries in Latin America. As geo TLDs become more entrenched in the Internet, the more I believe .LA will be associated/used by those in Latin America as well as those in the Los Angeles Metropolitan Area. Latin America has 600+ million people and has one of the BRIC countries which makes this part of the world very attractive. LA Names Corporation had previously considered the idea of using certain .LA domains, i.e., br.la for Brazil, to create subdomains using .LA as a .EU for Latin America. But, that concept didn’t materialize perhaps due to timing since the market probably wasn’t quite ready. I do believe that .LA will be more attractive than .LAT, but, that’s my humble opinion (for what it’s worth). Thank You to help the others to be smarter, wealthier and happier. I don’t really agree too much with the exact match type point he made at least from an SEO standpoint. EMD’s aren’t as powerful these days, especially coming from a non .com .net or .org tld. “A lot of people in Latina America like .LA for Latino” – not sure I agree with that statement. People of Latin American origin who have lived in the US for a period of many years will associate with the term Latino. If Spanish is your first language, it will be natural to develop relationships with other people whose first language is also Spanish. But for those living in Colombia or Mexico or Venezuela or Cuba etc, the mindset is much different. My wife is from Colombia but says she is “Costeña” and didn’t even know she was Latina till she came here. I seriously doubt there are many .LA registrations originating from those countries. It would be interesting to look at how the registrations break out by country. Great interview. I was actually amazed to see NL.com siting at the HA auction, but who knows, maybe it will get a deal soon. A great domain for an alt extension in a country that has .nl all over the place.